Silver Oak is fortunate to have the support of a caring and involved community of parents, students and staff. Here are some of the charitable activities organized by community members throughout the year. Check the homepage for details of each activity as it takes place and take advantage of these opportunities to "give back". Each year, Silver Oak is proud to support the Second Harvest Food Bank, whose mission is to provide food for people in need in our community. In December of every year, Silver Oak brings in several Second Harvest Food Bank barrels which are placed throughout the school for families and students to place canned food donations. Watch the school website for participation dates. Silver Oak and our Student Council team up with the U.S. Marine Corps to help collect toys and gifts for less fortunate children in our community each holiday season. This time honored Silver Oak tradition, “Trick-or-Treat for UNICEF” campaign began in 1999 as part of a fifth grade class project. This group of students learned how a Halloween night tradition that began in 1950 has helped support the world’s children. These ten year olds initiated Silver Oak’s first Halloween night fundraiser that year, collecting in small orange boxes and donating $650 in one night while gaining a better understanding of the challenges facing children around the world – clean water, nutrition, medicine, immunizations, and education. Since then, Silver Oak’s “Trick-or-Treat for UNICEF” event has steadily grown from a one-classroom event to become a school-wide campaign. Each October, fifth grade students spread throughout first through sixth grade classrooms to increase awareness of the need to provide childhood vaccines, education, clean drinking water, and improved nutrition worldwide. The “Trick-or-Treat for UNICEF” initiative gives Silver Oak students an opportunity to learn about their peers worldwide who are truly in need and to raise money on their behalf as a global citizen. The campaign provides motivational opportunities to develop research, leadership, and presentation skills and models effective roles for younger students. Over the years, Silver Oak students and their families have proudly donated $45,000 to UNICEF in coin, currency, and personal checks payable to UNICEF. In 2010, as part of UNICEF’s 60th anniversary, Silver Oak was showcased in a NBC Nightly News “Making a Difference” segment. This was the first time Evergreen School District had received national media recognition. The story focused on our “Kids Helping Kids” campaign. “Trick-or-Treat for UNICEF” introduces students to the idea that they can make a difference. Kids can help kids. Silver Oak students learn that being global citizens can help change the world. Students in Mr. Laraway’s fifth grade classes lead this school-wide philanthropic project. These students apply their successful Trick-or-Treat for UNICEF experience to organizing and implementing an awareness and fundraising campaign to support Canine Companions for Independence. Canine Companions for Independence (CCI) is a nonprofit organization that enhances the lives of people with disabilities by providing highly trained assistance dogs and ongoing support to ensure quality partnerships. It’s the largest nonprofit provider of assistance dogs and is recognized worldwide for the excellence of their dogs and the quality and longevity of the matches it makes between dogs and people. Students manage a two-week classroom Dollar Drive and present to parents during Open House. Using a “crowd funding” website, Piggybackr.com, they raise additional funds for the organization. Students successfully raise about $6,000 during the campaign. Silver Oak Student Council teams up with The Leukemia and Lymphoma Society during their annual “Pennies for Patients” fundraising drive. For three weeks, starting March 4, students collect spare change to support LLS’s mission; to cure leukemia, lymphoma, Hodgkin’s disease and melanoma and to improve the quality of life for patients and their families. Coin collection boxes are sent home with students to help the cause. Students at Silver Oak jump at the chance to fight heart disease and stroke, our nation’s No. 1 and No. 4 killers. Each spring, we host our annual Jump Rope For Heart event to raise money for the American Heart Association, which funds lifesaving heart and stroke research and community and educational programs for our youth. Silver Oak Student Council organizes a school wide collection drive to gather essential hygiene items for Sacred Heart Community Service. These Survival Sacks, designed for the homeless population in San Jose, consist of a brand new backpack filled with essential hygiene items. Sacks are given out the 1st & 15th of every month. 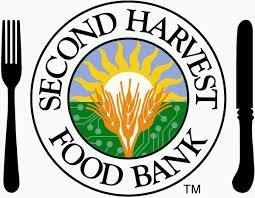 Sacred Heart Community Service is dedicated to bringing our community together to address poverty in Silicon Valley. Through a comprehensive array of resources, services, and community involvement initiatives, SHCS is making a real impact in the lives of working poor families.